For nearly 20 years Maggie Rowe has been portraying the life of Mary, mother of Jesus, focusing on the early years in Mary’s life. It is the story of the Virgin Mary, a young girl growing up in an observant Jewish home in Nazareth, whose life changed forever after she was visited by an angel telling her that she would bear the promised Messiah. It’s a familiar story, and one that is often told during Advent as Christ-followers focus on the birth of Christ. But what about….the rest of the story? The events that occurred after the birth of Jesus but before his eventual death and resurrection? What was it like to receive postpartum visits from shepherds and Wise Men? How did Mary feel when she and Joseph searched for Jesus for three days following the celebration of Passover in the City of David when Jesus was 12? As the mother of at least six additional children, how did Mary cope with parenting a spiritually divided family? 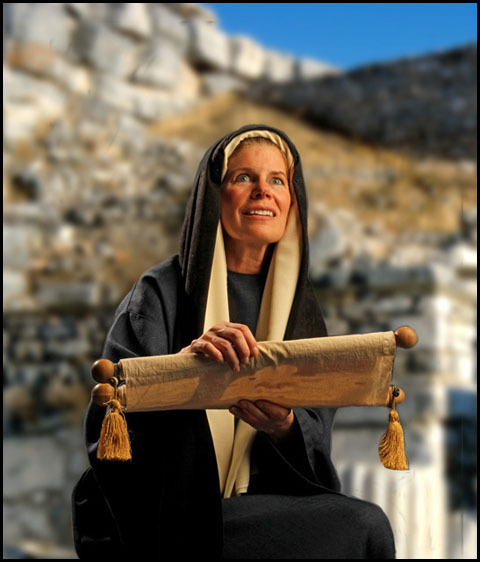 In a brand new drama written and presented for the first time in the spring of 2010, you are invited to listen in as Mary, now a woman in her late 50’s, shares a very exciting discovery with the Apostle John. Here is…..the rest of the story.